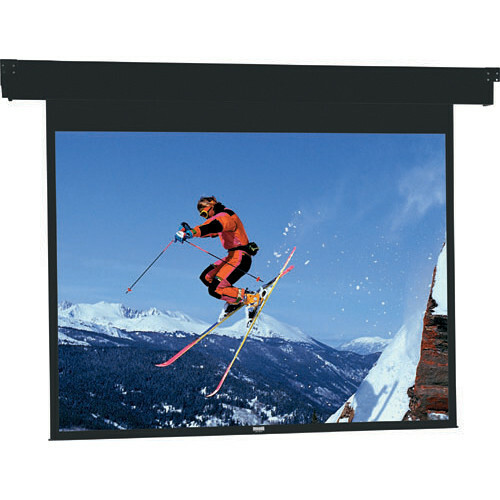 The Dalite 96225ES Horizon Electrol Motorized Front Masking Projection Screen gives you the creative freedom to mask your screen to any of four factory pre-set aspect ratios. The benefit of having a masking screen is that it saves you the cost of purchasing several different screens to accommodate various formats. The Horizon is designed so that the masking is maintained flush against the screen. In this way, shadows are kept to a minimum, thereby assuring a smooth, uninterrupted projection. The screen includes a six button switch for opening and closing. The switch also controls "halt" when your screen meets the format required. Box Dimensions (LxWxH) 143.0 x 15.0 x 12.0"